Some weeks ago I suggested that post and package deliveries in towns and cities could be made less polluting by using a "last mile" delivery with cargo bikes. 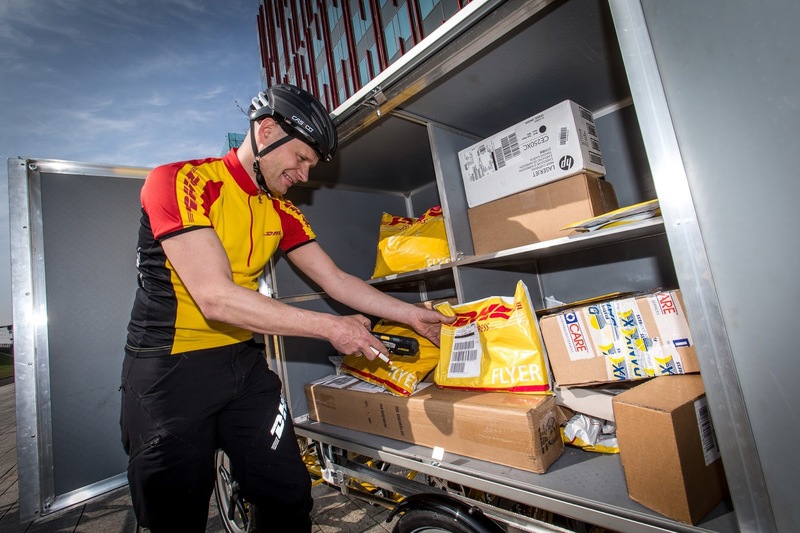 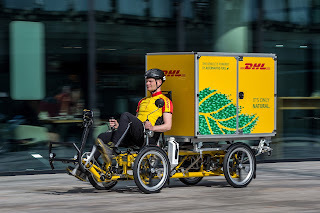 I was interested to read that DHL, the German Post logistics company has a pilot scheme in Utrecht, Netherlands and Frankfurt am Main, Germany to test this concept using four wheel recumbent HPVs with electrical assistance. 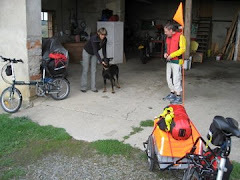 The concept of zero pollution is debatable. 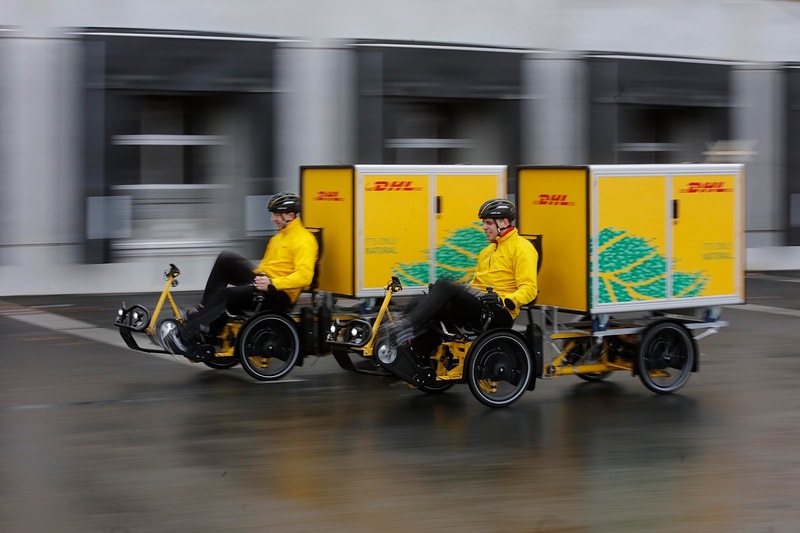 Obviously the vehicles deliver less pollution in situ, but some of the electricity to charge the batteries will be fossil sourced. 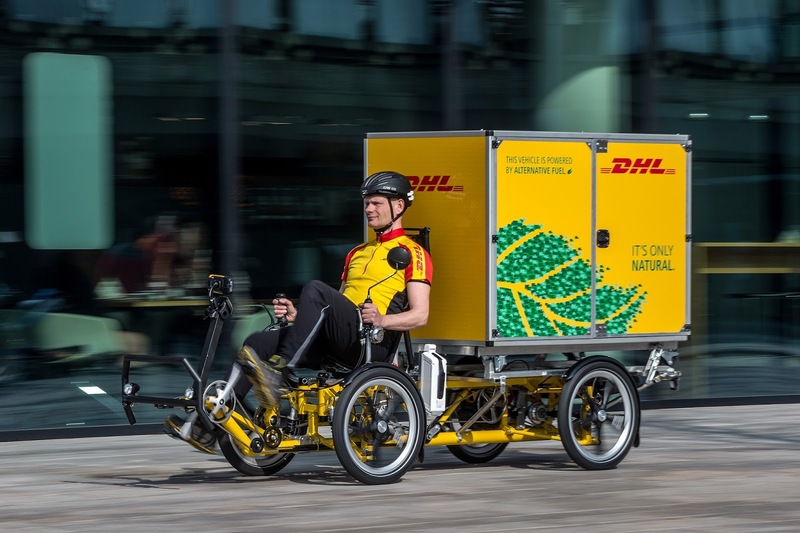 The Cubicycle vehicles used by DHL in these pilot schemes are manufactured by Velove Bikes AB, http://velove.se/.The website offers some interesting ideas about low emission deliveries in towns and cities. The photographs are, as far as I know, © DHL.